Feeling restless and still not really wanting to set up my sewing machine, I decided to start yet another new project. Since I spend most of my time wrapped up in blankets trying to keep warm in the Fall, Winter and Spring months, handwork seemed like just the thing. This weekend I started working on a hand pieced patchwork throw pillow. My first bit of progress is four lovely flying geese blocks. 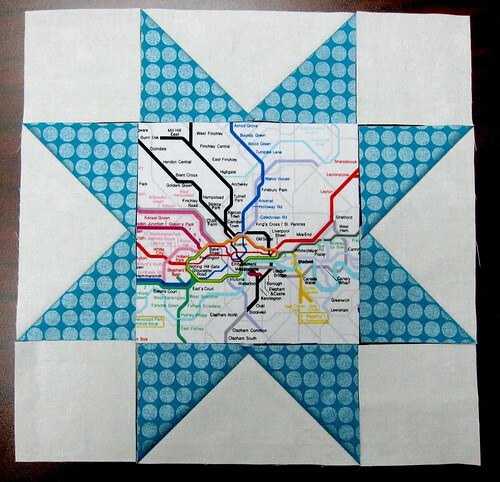 I really fell in love with this London tube/subway map fabric and decided that it would make the perfect centre for my Sawtooth Star. Nothing is more satisfying than the small puckers caused by a simple running stitch. Hand piecing really changes the character of a project and gives it that homespun feel. Although it is slower than machine sewing, I find hand piecing to be methodical and relaxing. 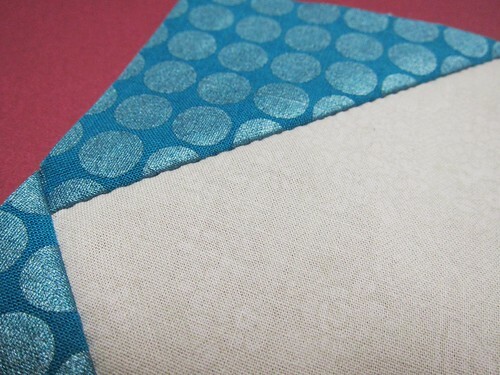 It's a tactile experience where you really get to know your fabric as you sew along. 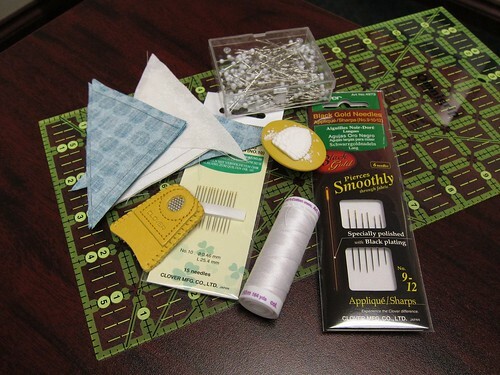 I also enjoy feeling a connection to quilting's history and to my great-grandmother (who made gorgeous hand pieced and hand quilted treasures) every time I sit down with a needle and thread. Luckily there's lots more to do on this little cushion, because I'm enjoying every stitch. Although I have never tried hand piecing a block, I am working on an EPP hexy quilt and I enjoy the hand sewing very much. It certainly is a great way to relax at the end of the day. 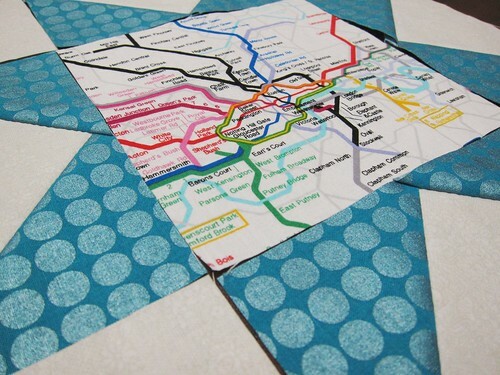 This looks great - I love that subway print too. The metallic dots are fun as well.